Welcome to the world of Sardinian Arts! The textiles you find here are made with love and care by women who have dedicated their lives to the almost-lost art of traditional handweaving. These unique weavings — made one at a time, on looms powered entirely by hand and foot — have an indescribable quality that’s a doorway to something we lack and crave in the modern world. Like homemade food, handmade textiles carry the essence of love. This comes from care, from attention, from honoring the importance of one moment, one thought, one task, one person, in the present moment. This essence is unquantifiable. It’s invisible in a photo. To most people, the essence of a handwoven textile is apparent only when you have the weaving in your hands. For some, we can sense the presence of a handwoven item from across the room. Handwoven textiles have a glow which radiates the love, care, and attention the weaver infused into the textile. This essence is tangible. Each row of every handmade textile is woven and beaten (tightened) by hand. The heart and attention of the weaver goes into each fiber of every textile she creates — despite the fact that handweaving is difficult, complicated, and time-intensive. The process of weaving makes a handweaver’s life inseparable from her art. Handweavers are rare, and generally overlooked in the world of art and the world of commerce. The few remaining professional handweavers you’ll meet here are these weavers. I share my love of the Sardinian handweavers, their art, and of Sardinia in general as a means of preserving, protecting, and promoting the art, work, lives, and the culture, heritage, land, and people of Sardinia. What I do is based on love and respect, not profit-seeking. 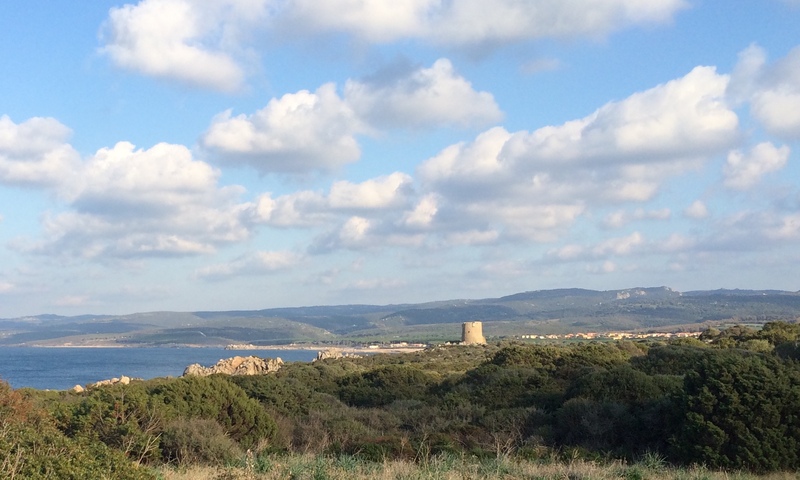 I’ve traveled — and travel — Sardinia to meet with the weavers. I’ve been in the studios of the handweavers, in the power loom shops, and in the mills. I sense and understand the intrinsic essence of the handmade. I’m also clear about the distinction between the types of textiles — handwoven, hand decorated, and mill-made — and understand and value the position each has in the market. I do not appropriate the heritage and story of the handweavers to promote and sell commercially-made textiles. I’m personally committed to ensuring that the traditional designs and methods are protected, that respect for Sardinian arts and heritage is maintained and even increases, and most if not all of the a textile’s sales price goes to the weavers. If you would like a textile, I can work with you to provide you with one I have on hand, help you find one a weaver may have available in her studio, or custom order what you want. Often, I put you directly in contact with a weaver. I can help you choose a rug, a table runner, a bag, a bedspread, a textile that brings the invisible essence of the handmade to you, warming your home as well as your heart. When you purchase a textile from Sardinian Arts, or directly from the weavers mentioned here, you bring into your home a textile that carries the indescribable essence of the handmade, a work of heart, a work of art — and you support sustainable, fair trade of a nearly lost art maintained by a few strong women determined to preserve their culture and heritage. Please contact me if you would like to learn more or purchase an item. Major Site Updates in Progress! I’m updating the site to better reflect my dedication to ensuring the nearly-lost art of the Sardinian weavers — traditionally and nearly always women — is maintained in a sustainable, fair-trade manner, that the handweavers are respected, and that all forms of weaving and the traditional designs of Sardegna are protected. Thanks for your patience as the pages here are lavori in corsi, work in progress. As with the weavings, the website is being updated by hand, by an individual, with care and love. This is a showcase of Sardinian textiles, rather than a click-and-buy catalog of items. A showcase better supports the weavers, the traditions, and the artwork shared on these pages. I want to honor this uniqueness in the textiles, in the weavers, in you who seek to increase and cultivate these qualities in your life and your home. I want to help you find the right textile and offer you a connection to the integral spirit and beauty found in the traditional Sardinian handweavings. I’ve found that meeting or talking with people one-on-one or in small groups the best way to convey the unique, exquisite nature of the weavings and to ensure the weavers, artwork, and more are honored and protected. As you saw on the home page, the website is undergoing major transformation, and I haven’t yet uploaded the many, many textile images. If you’re interested in seeing more, please contact me. The documentary I Want to Weave the Weft of Time (Tessere le Trame del Tempo) explores the skills, patience, and artistry of Sardinia’s hand weavers, the tessitori artigianali. The video features the acclaimed traditional Sardinian handweavers Isa Frongia, her mother Susanna Frongia, and cousin Anna Maria Pirastu, as well as Bruna Cossu, an architect who has returned to Sardinia to reclaim her spirit and learn the art and ways of the tessitori artigianali. Traditional hand weaving was nearly lost, and for many years has been invisible and unvalued. This art is thriving in the Frongia women’s unique studio, where the women continue to weave by hand in the ancient pibiones tradition. Their art requires great engineering skill, mathematical ability, patience, and physical dexterity. The textiles they create are unparalleled, and a testament to the Frongia’s skill and commitment to preserving this art form. The trailer is below; the full film (29 minutes) is available on Vimeo. If you would like to schedule a screening and director’s talk for your school, weaving guild, store, or group, please contact me.